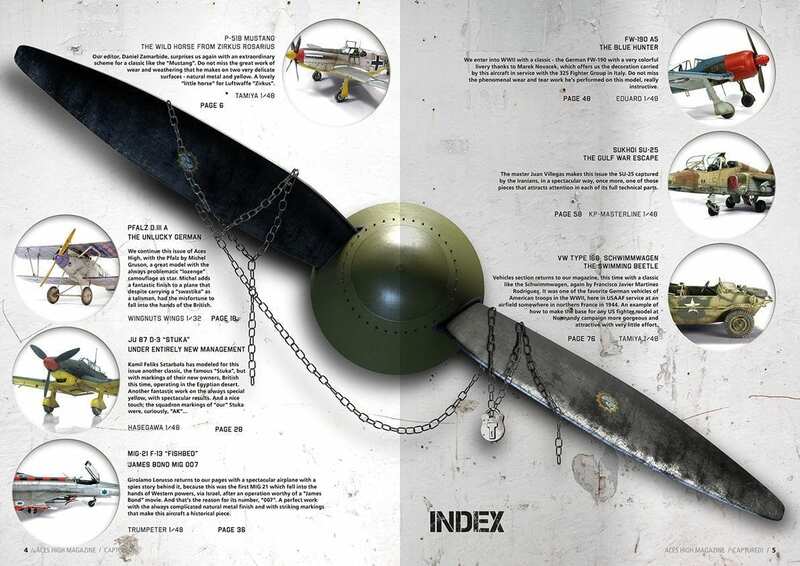 80 pages, English & Spanish language. 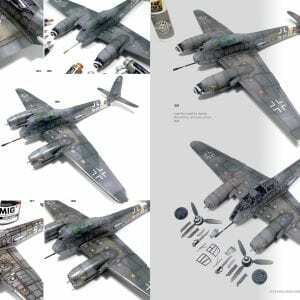 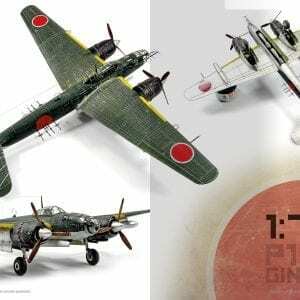 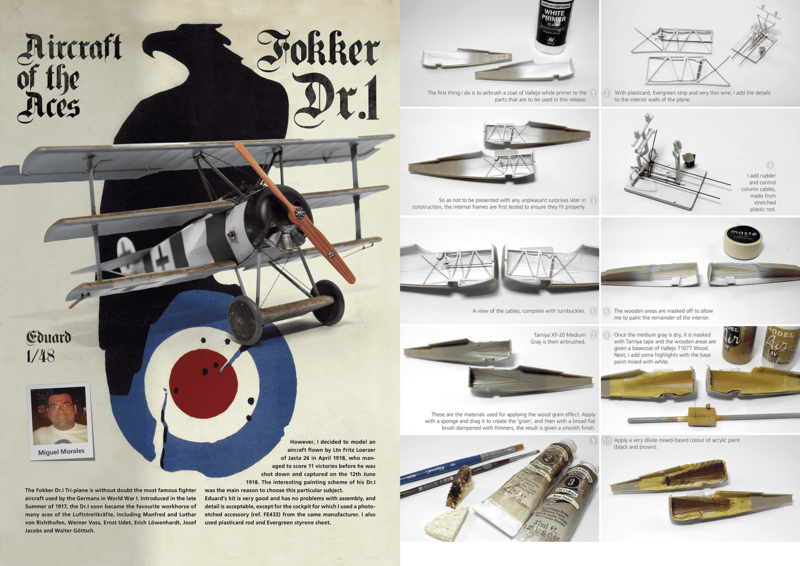 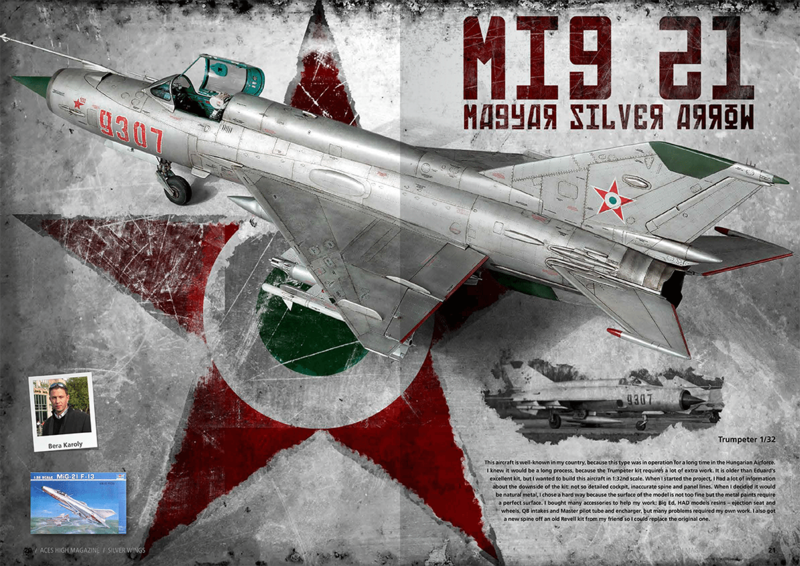 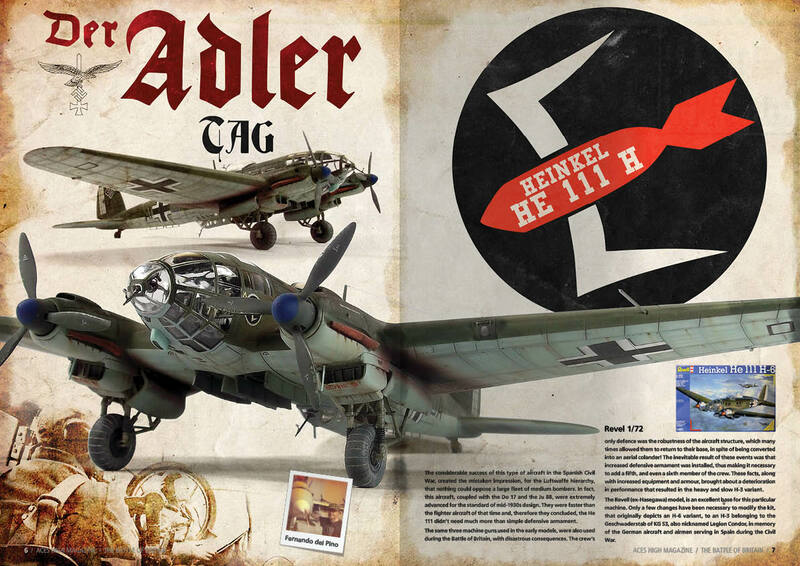 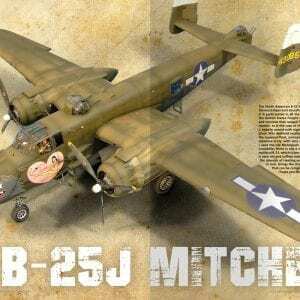 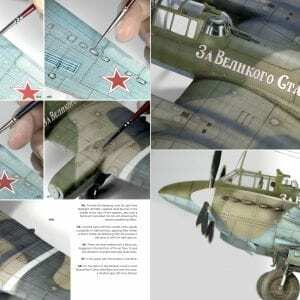 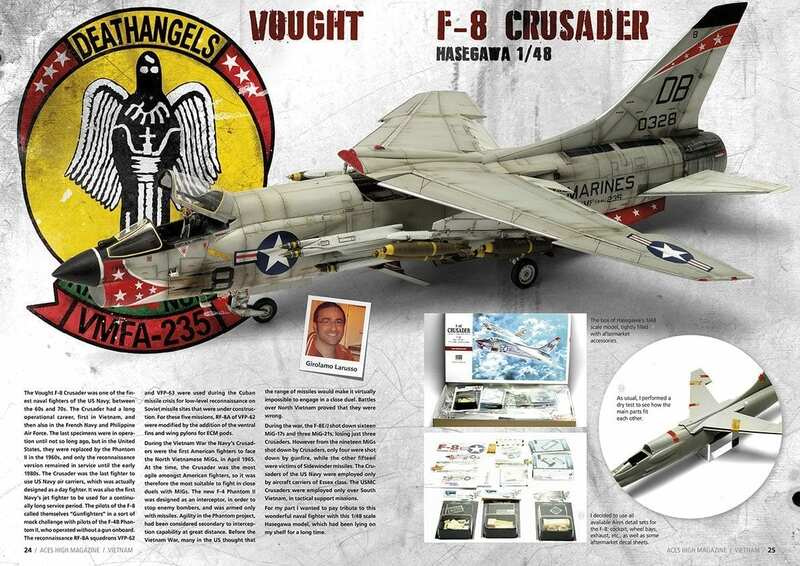 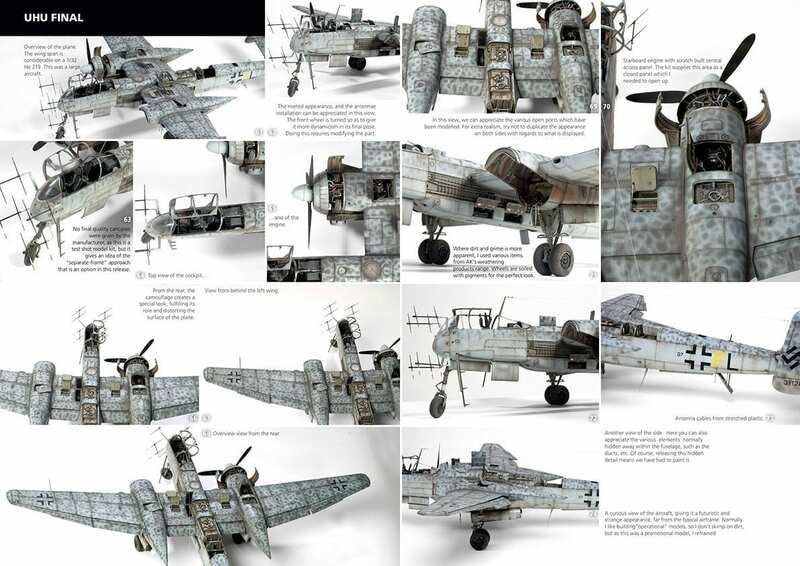 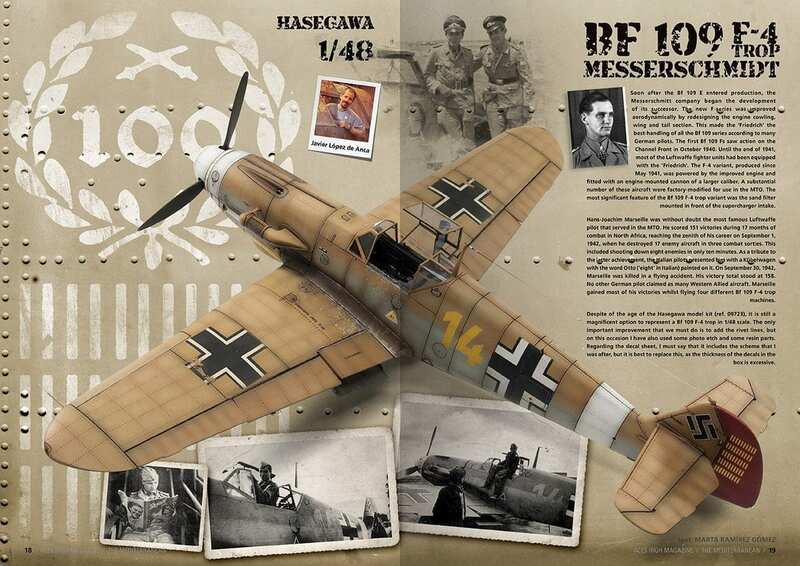 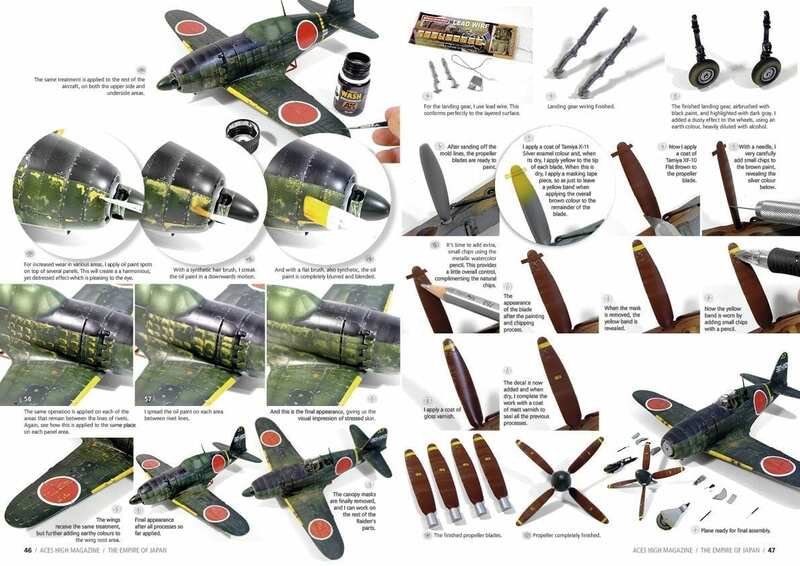 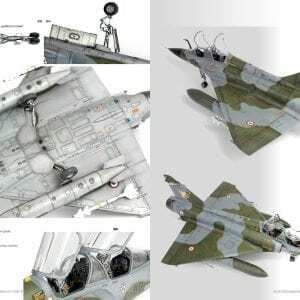 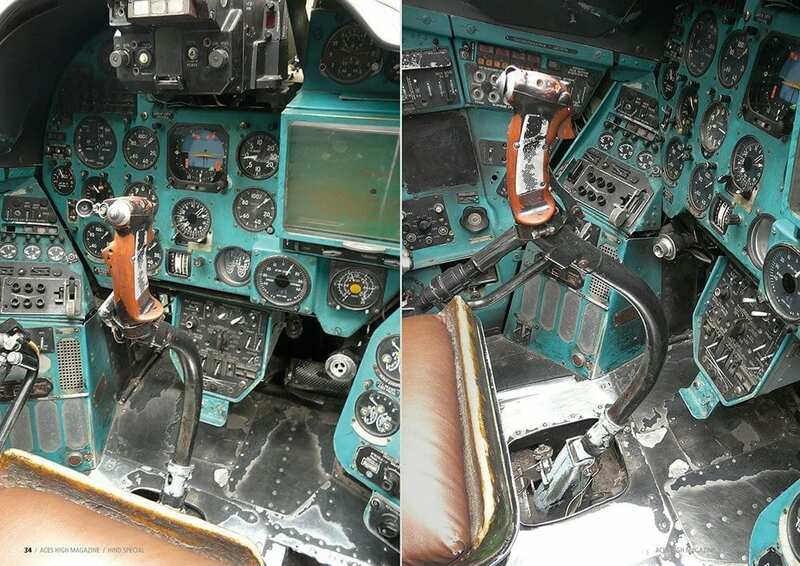 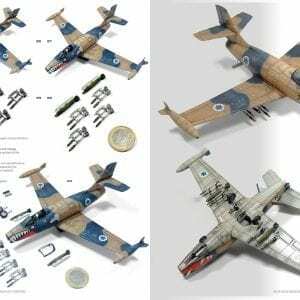 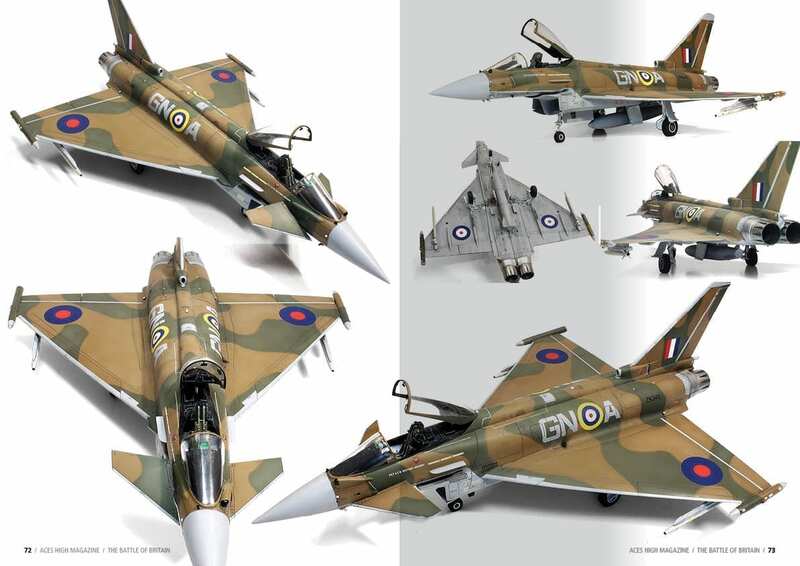 These aircraft are really attractive for modellers due their designs and looks. 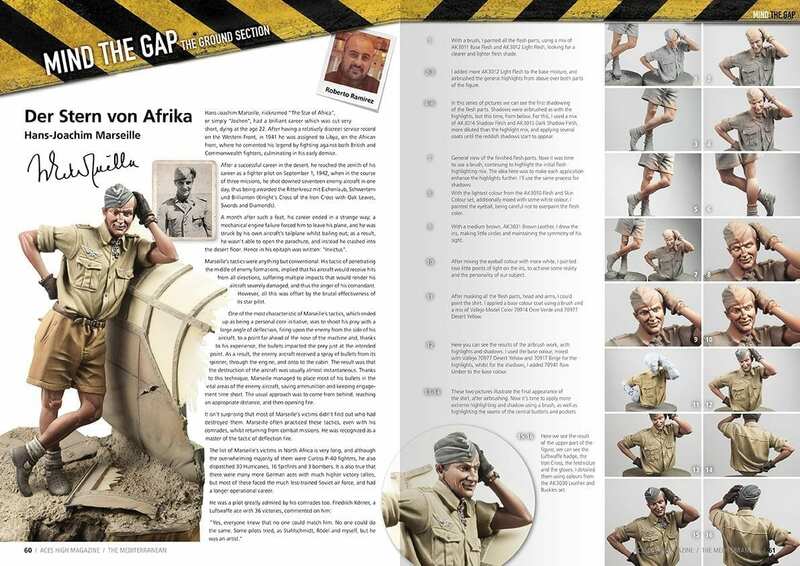 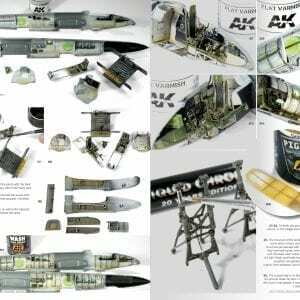 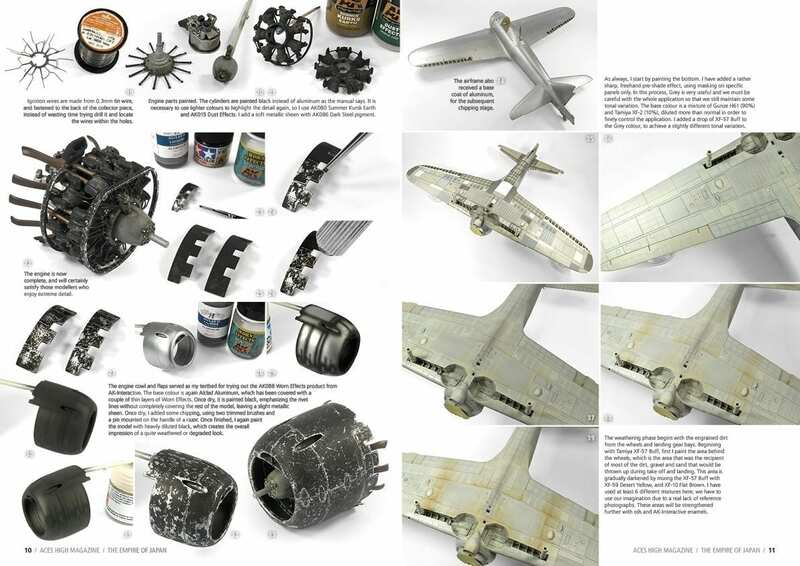 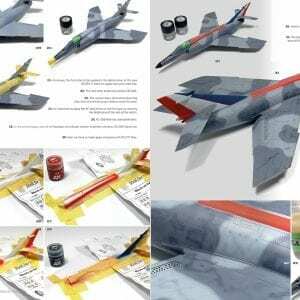 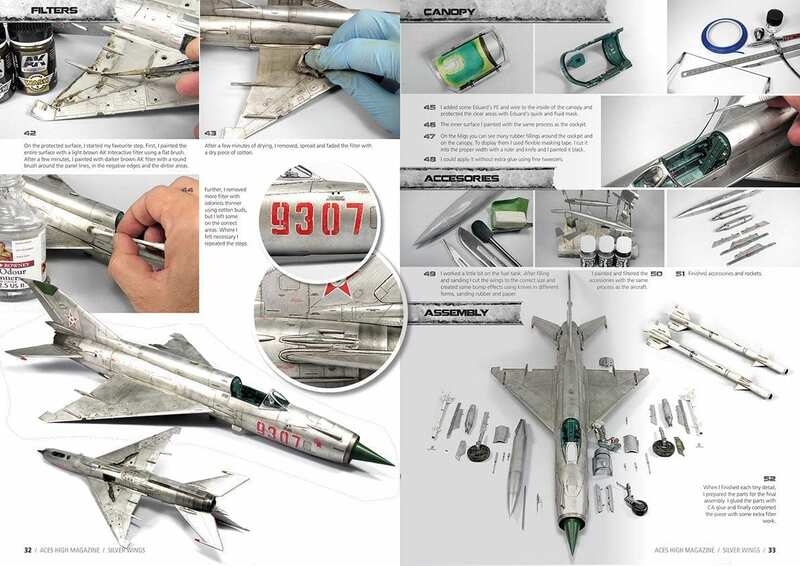 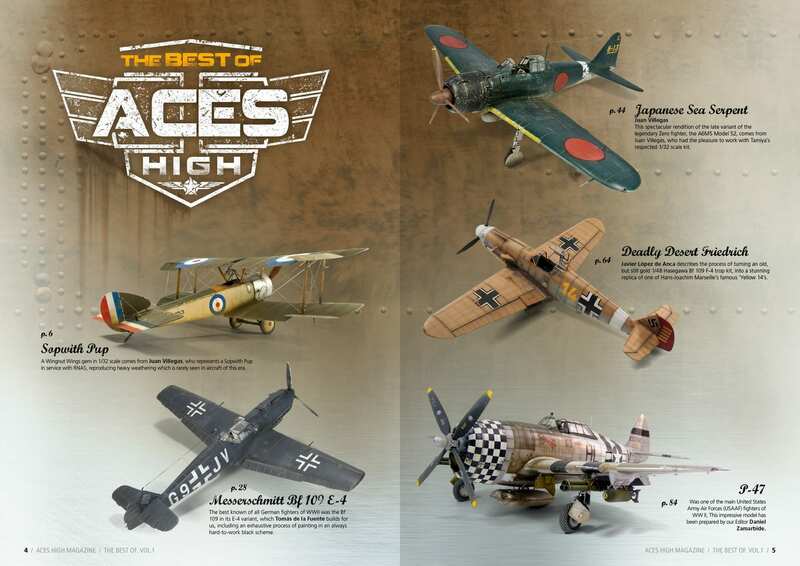 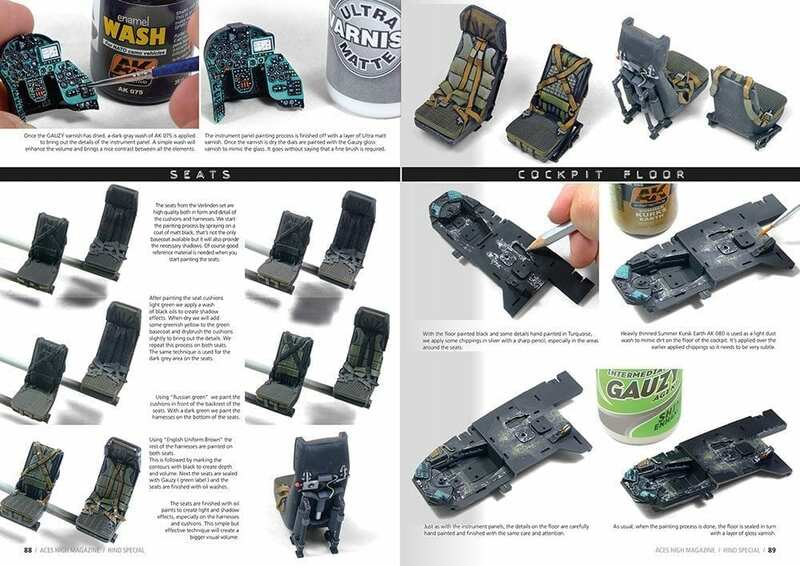 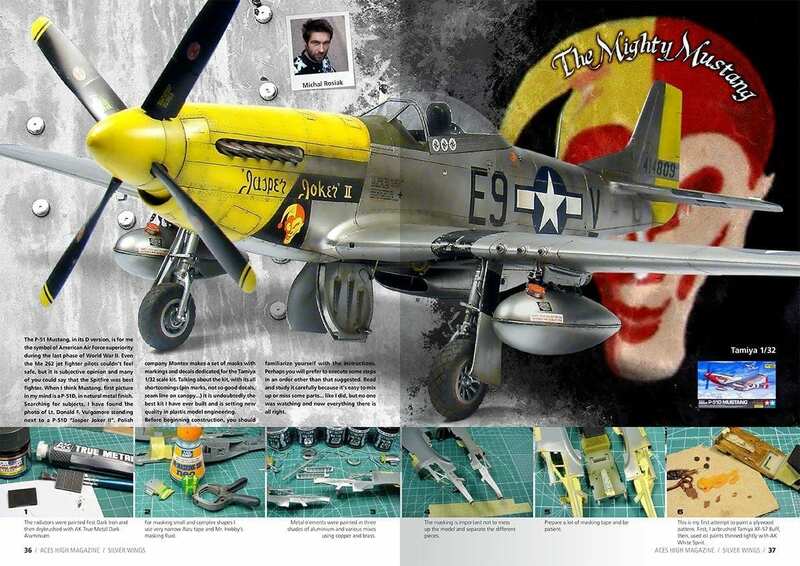 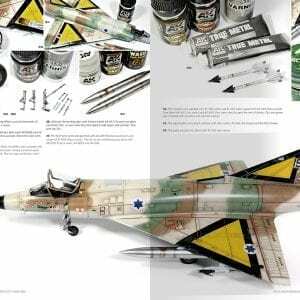 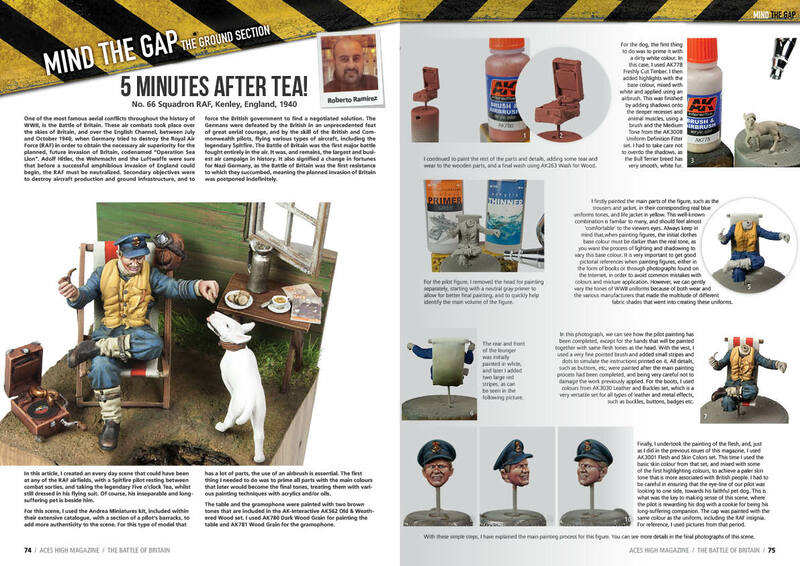 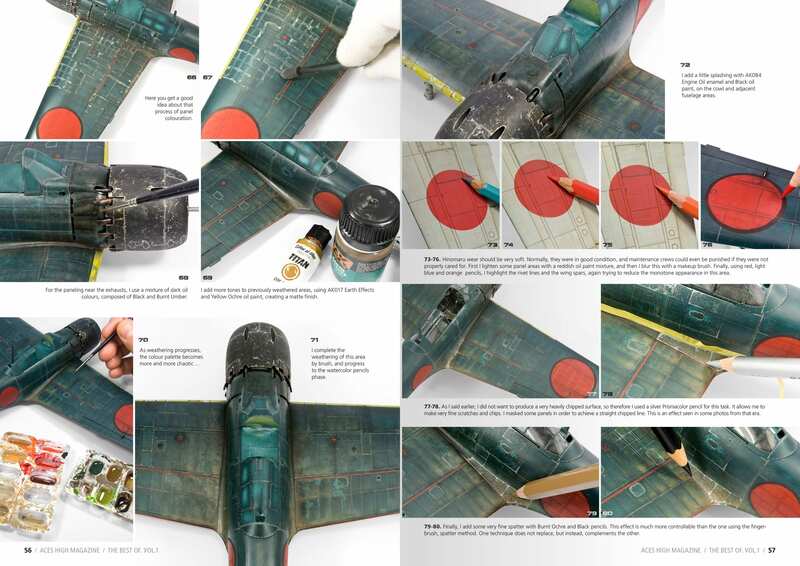 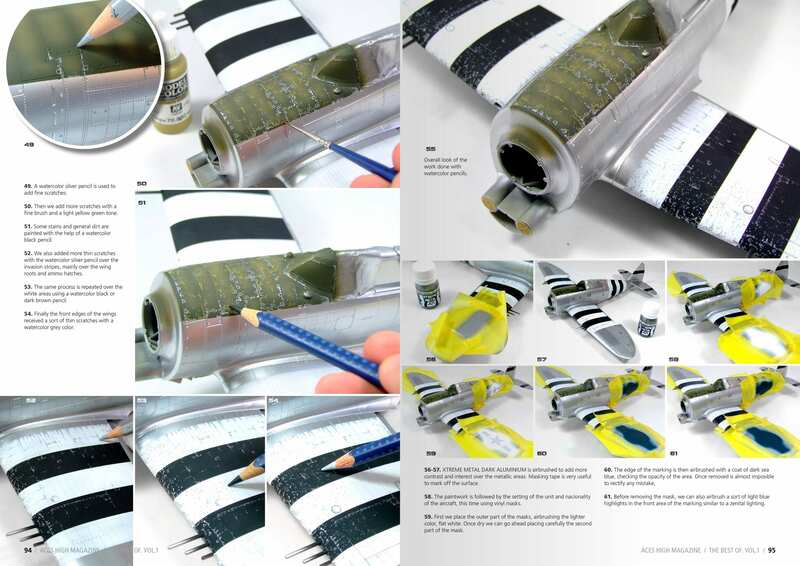 Like always this issue of Aces High is full of tricks and techniques from which you can learn and enjoy the hobby even more. 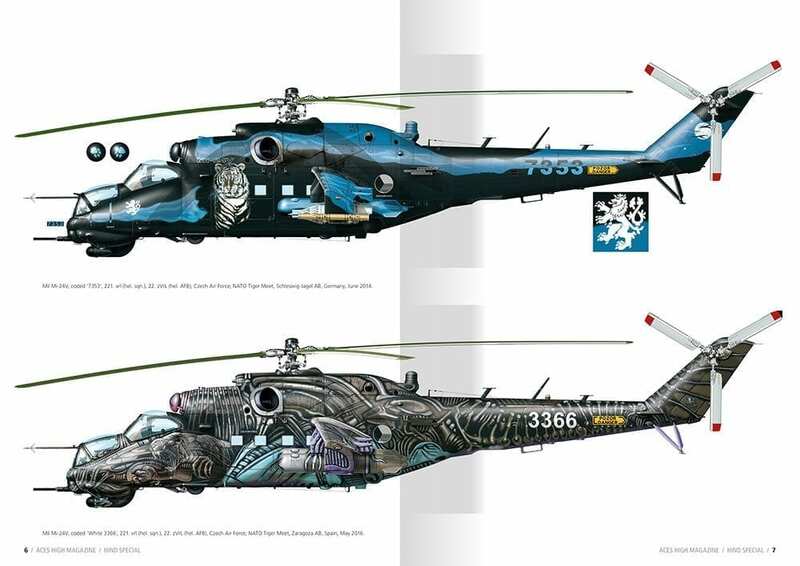 English & Spanish. 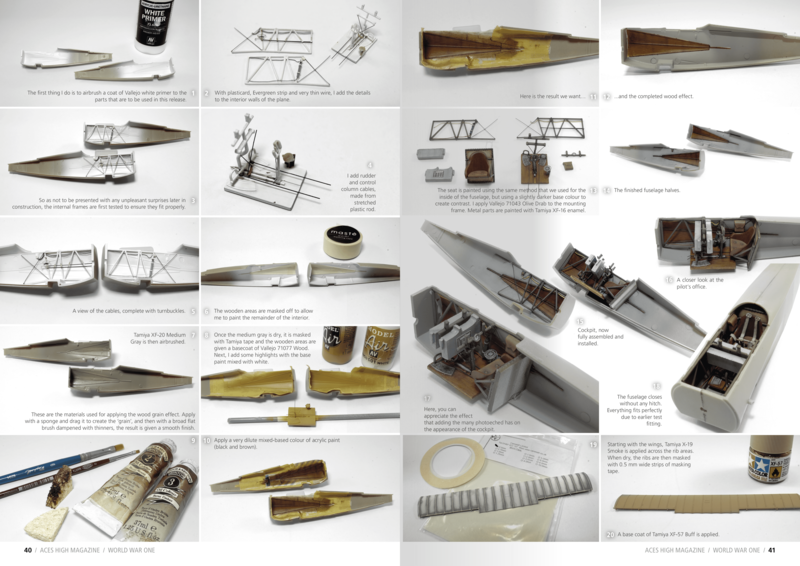 76 pages. 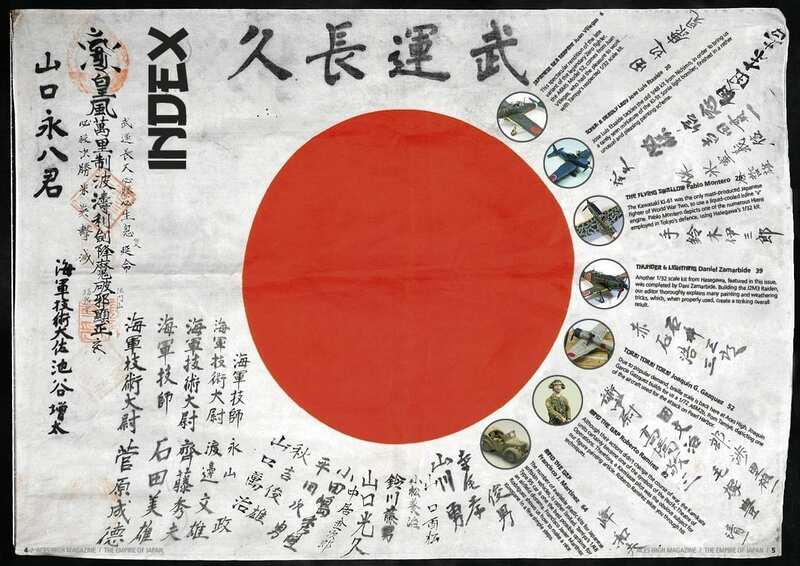 Soft cover. 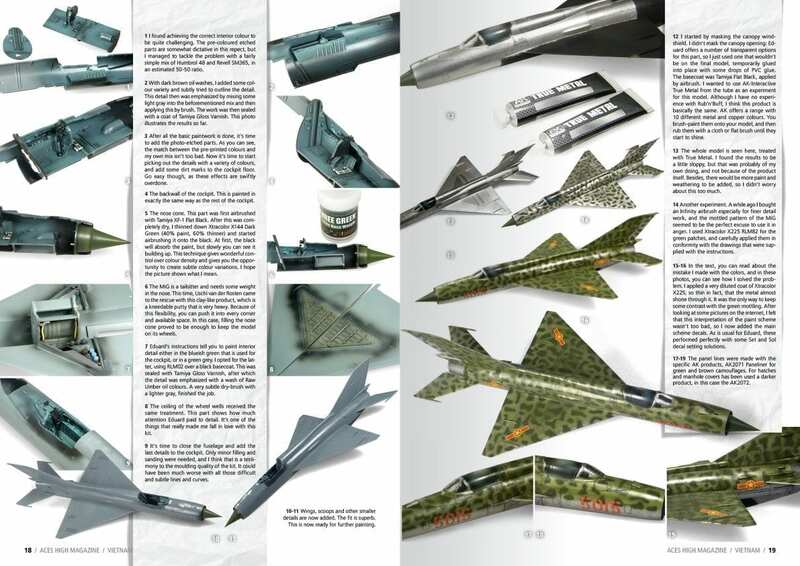 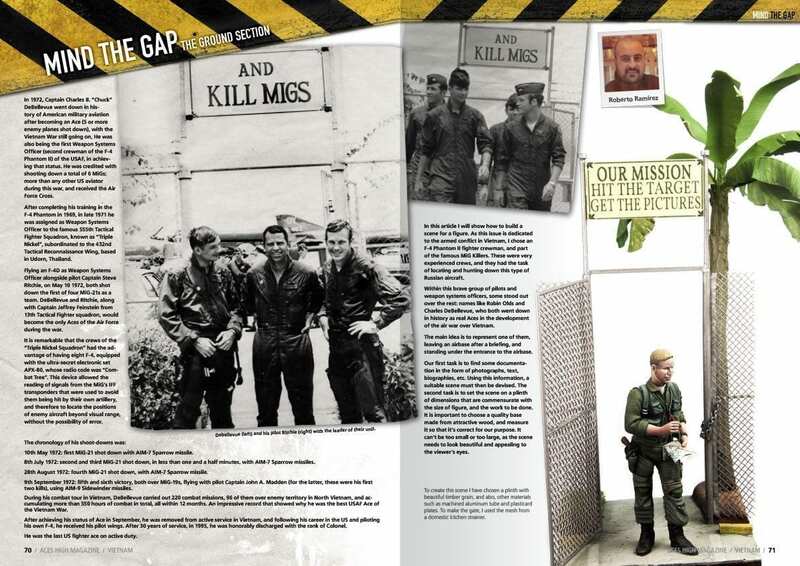 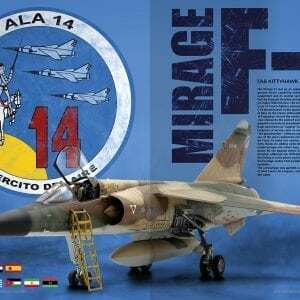 This new AHM issue is dedicated to a series of jet aircraft which built their combat legend during the past seven decades. 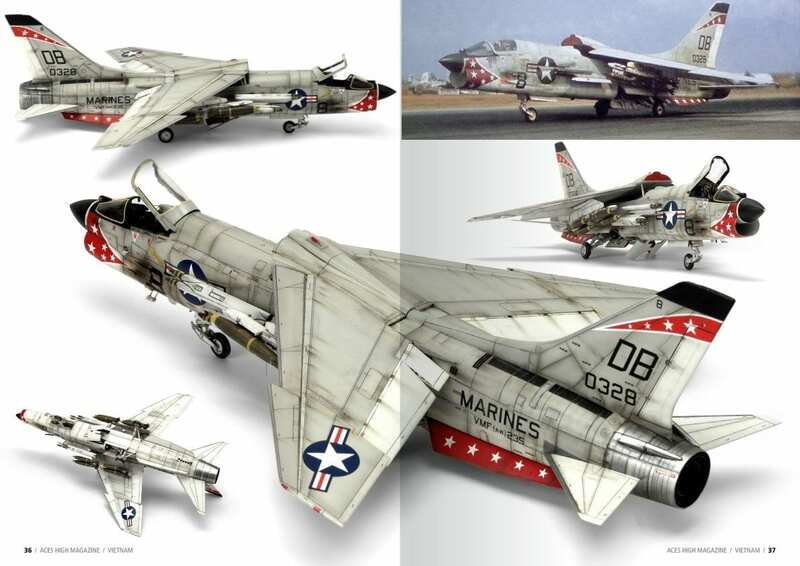 After the end of World War II, France developed a number of interesting aircraft designs, from the MD450 Ouragan, through the Mystère/Super Mystère family, the Étendard/Super Étendard and the most famous Mirage family, which did not only successfully serve in the domestic front, but also made their way to the arsenals of several air forces all around the world, and proved their combat capabilities in different conditions. 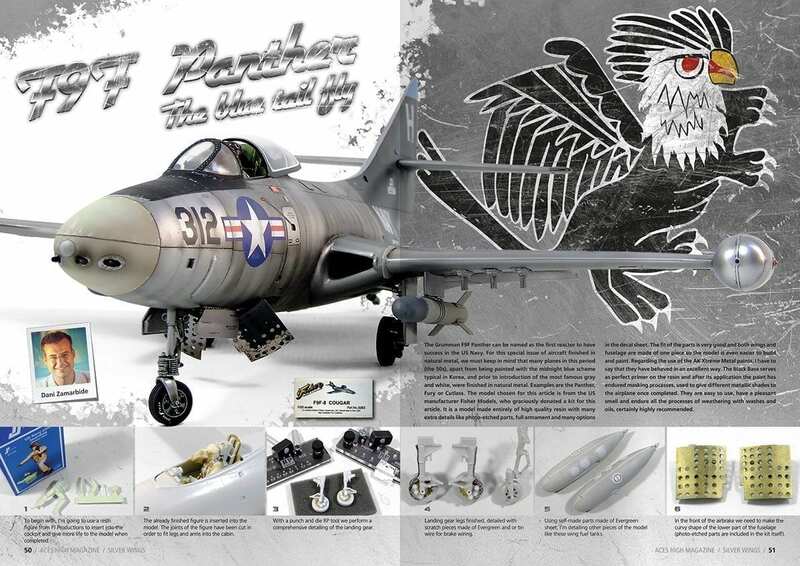 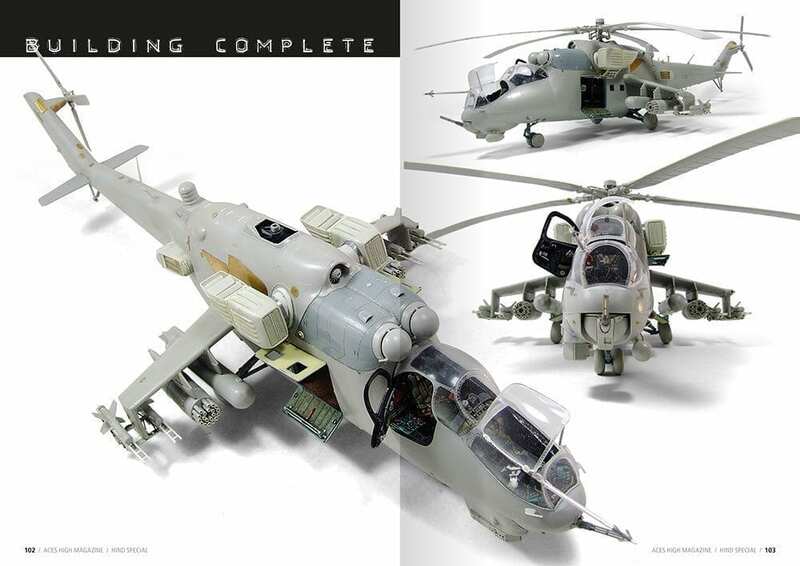 Another significant design, the Jaguar attack aircraft, was developed as a joint project with United Kingdom. 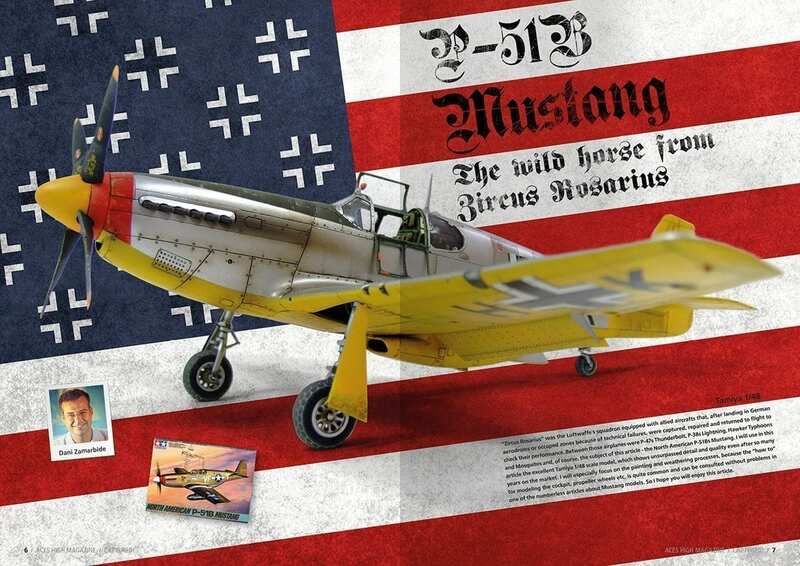 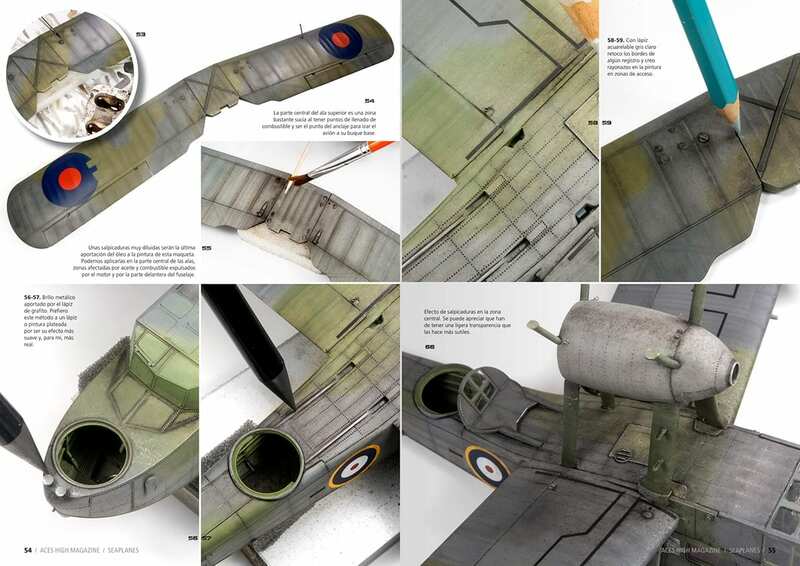 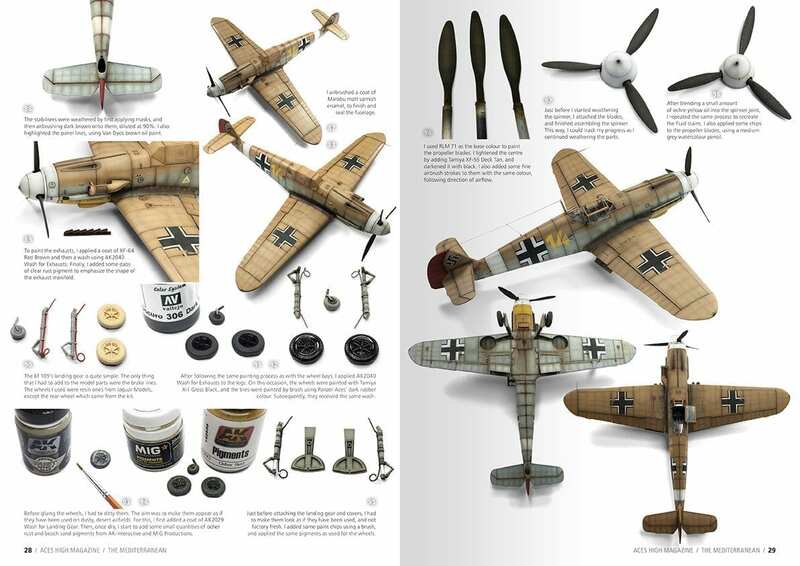 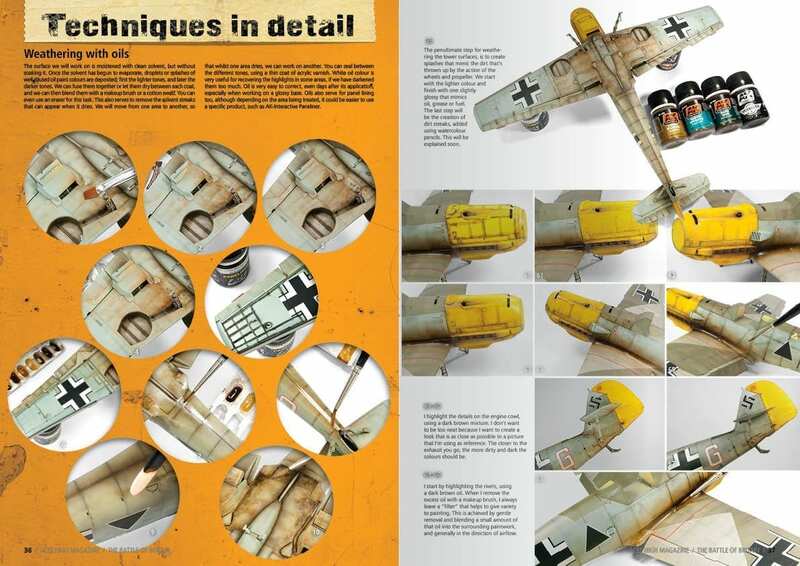 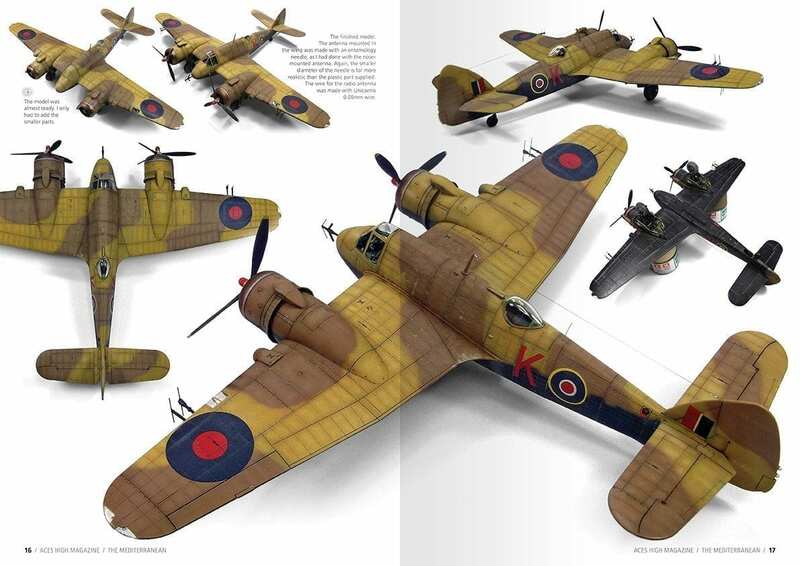 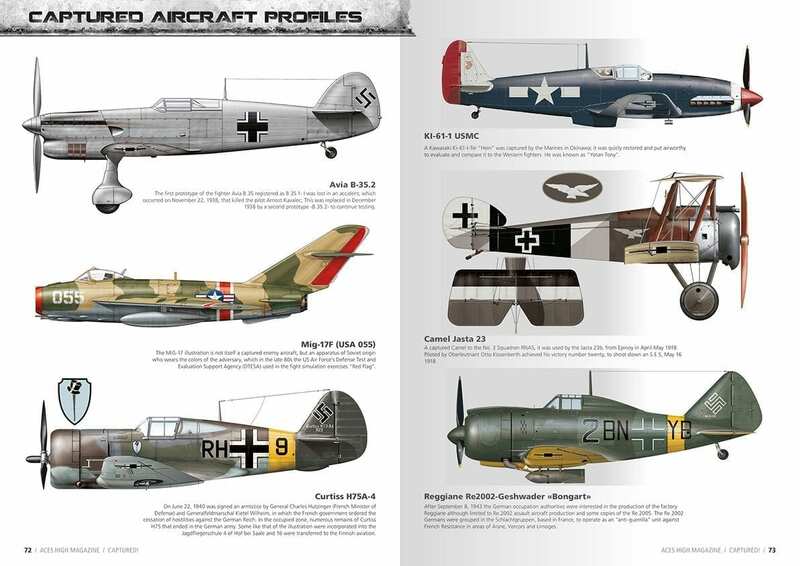 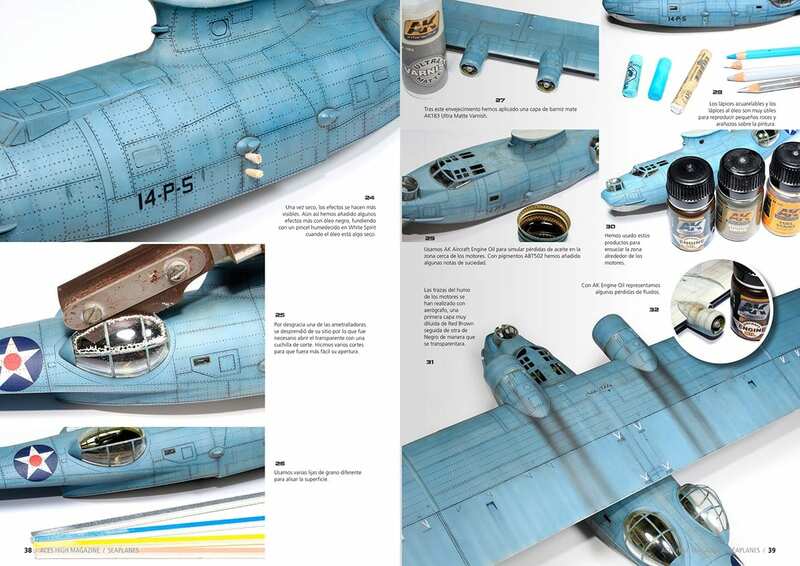 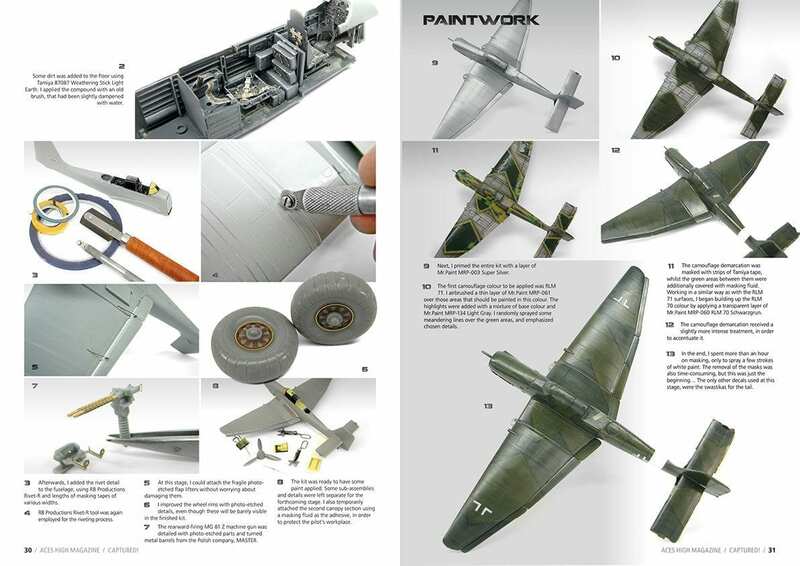 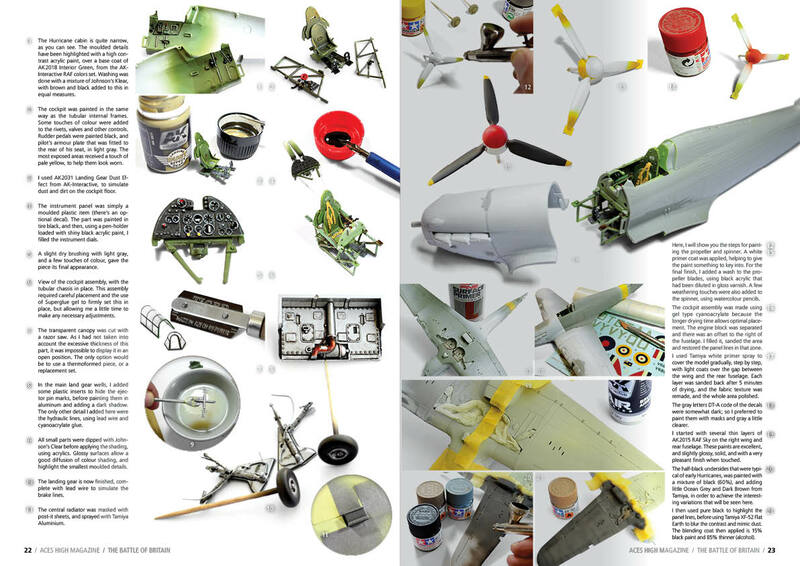 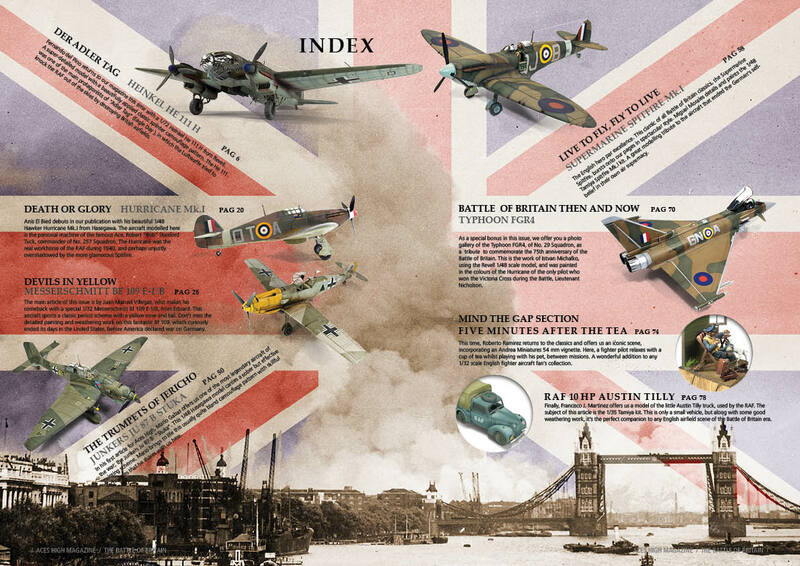 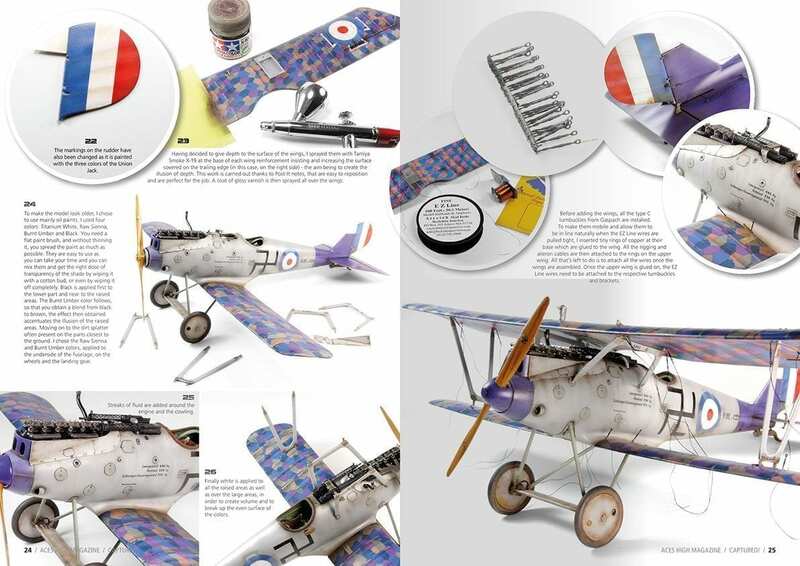 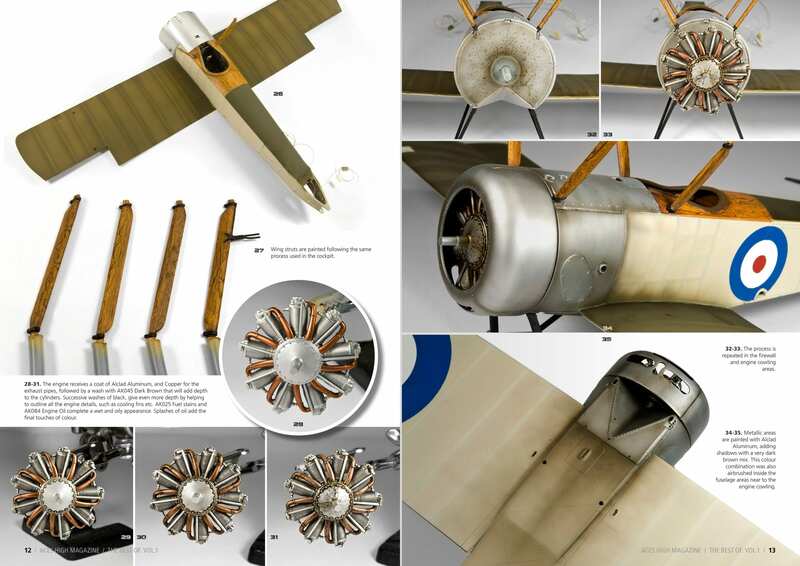 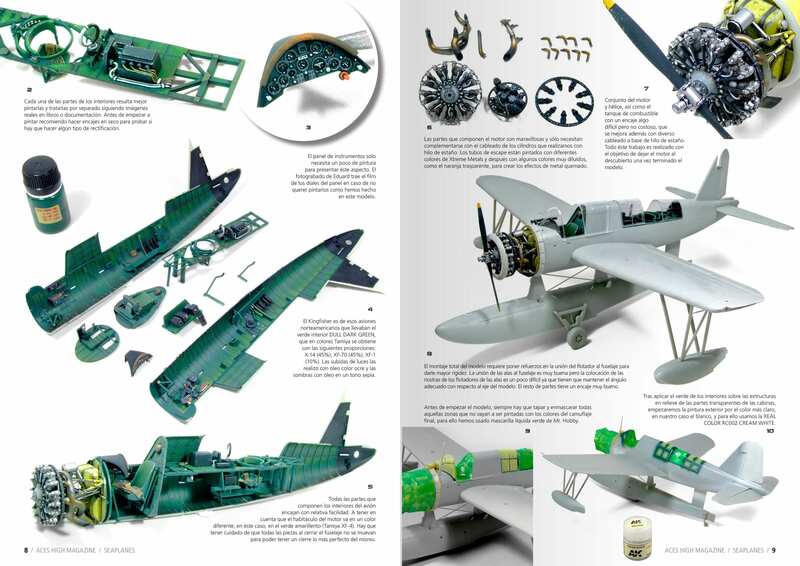 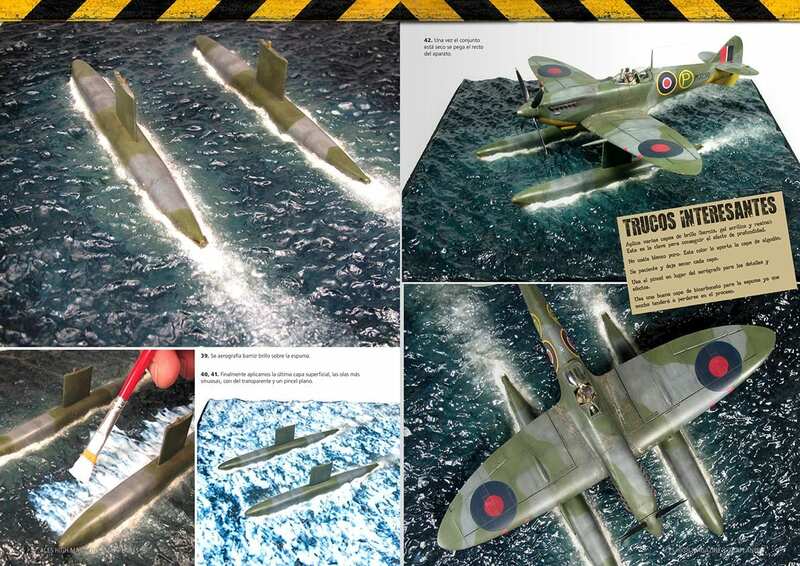 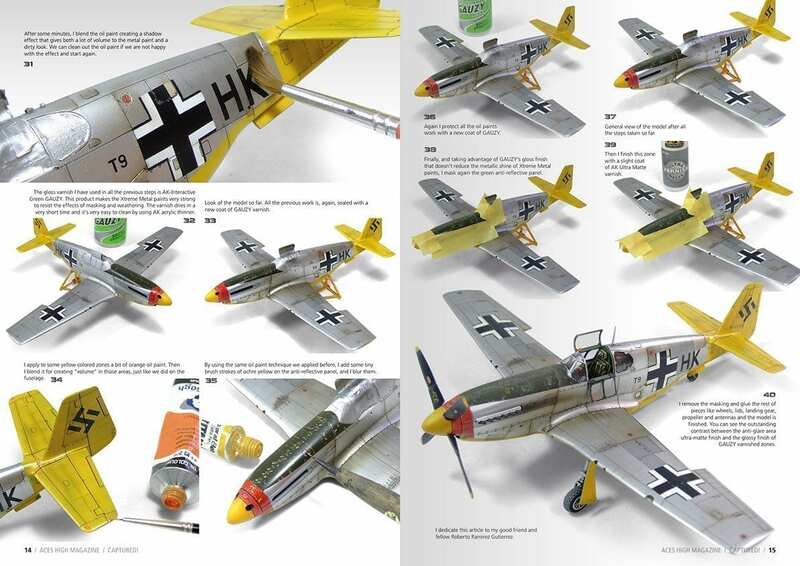 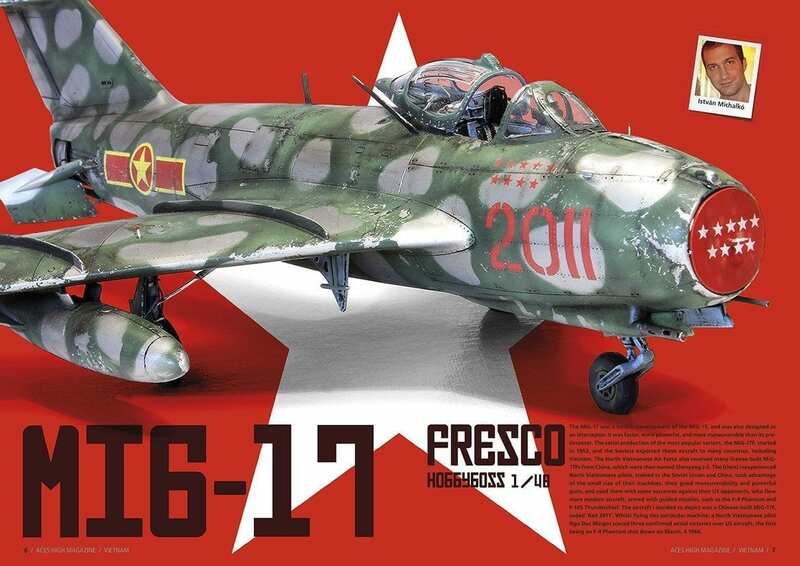 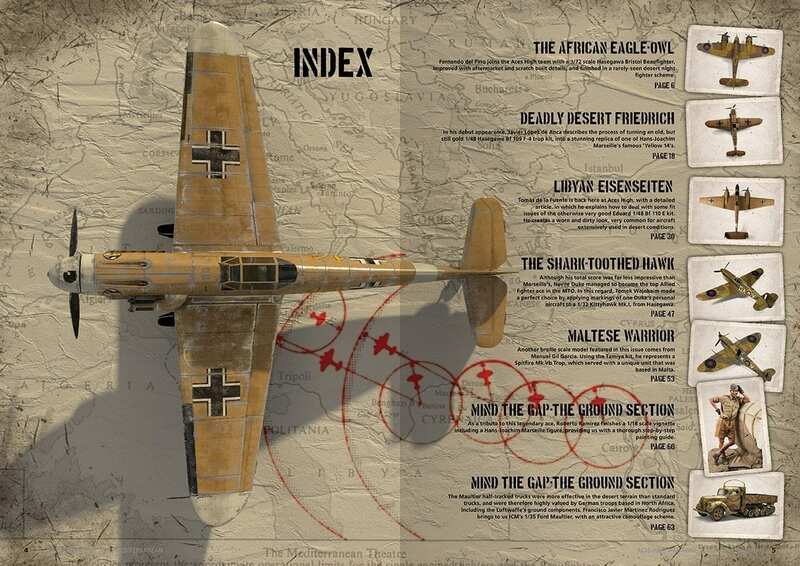 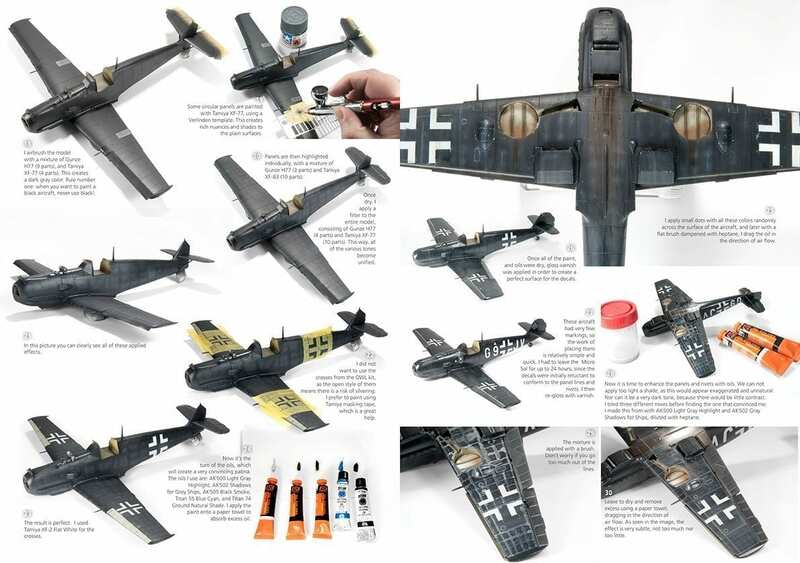 In this issue we take you for a tour of these famous aircraft, with a variety of models and camouflage schemes which will delight every modeller. 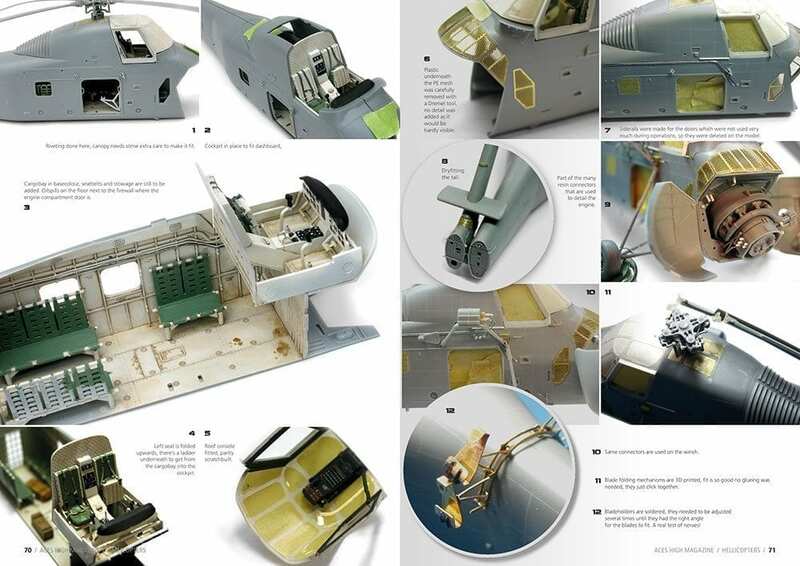 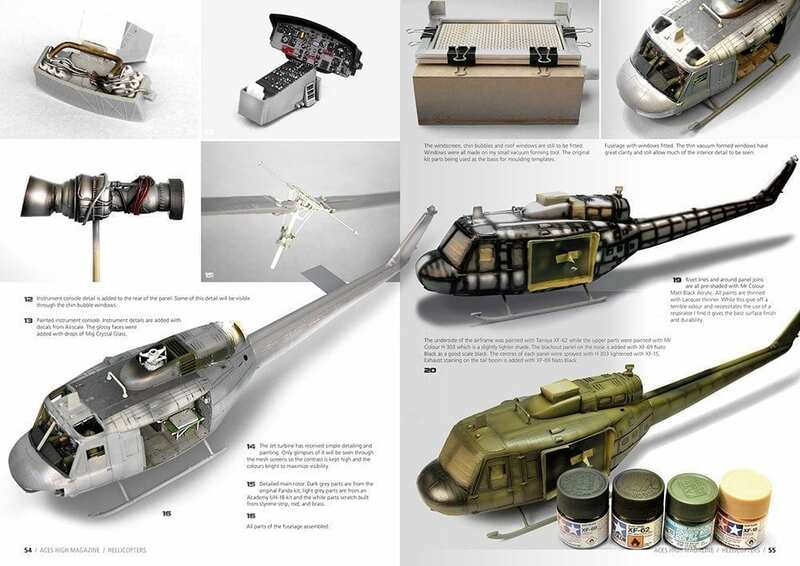 Special publication focused on one of the most famous military helicopters used around the world, the Mil Mi-24 Hind. 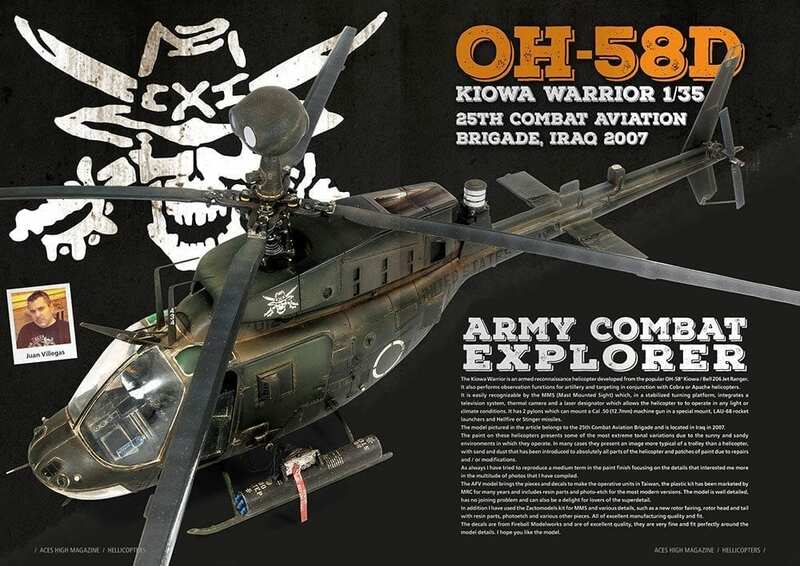 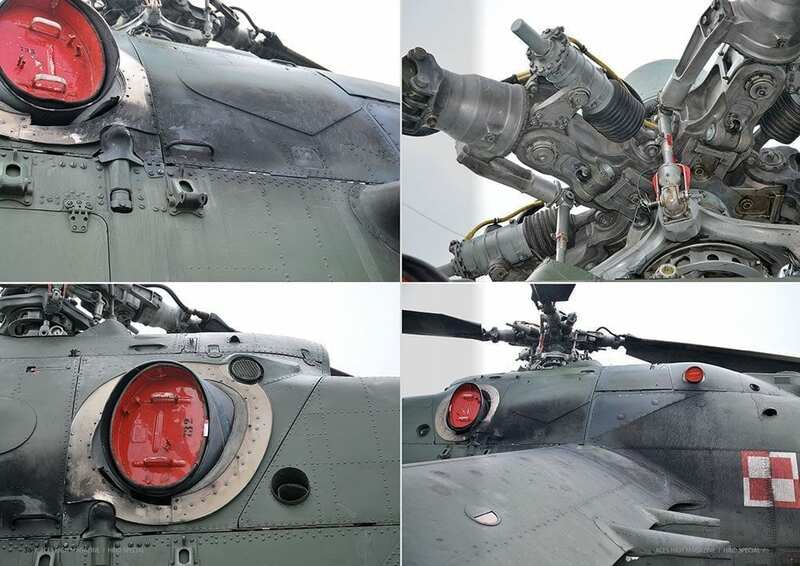 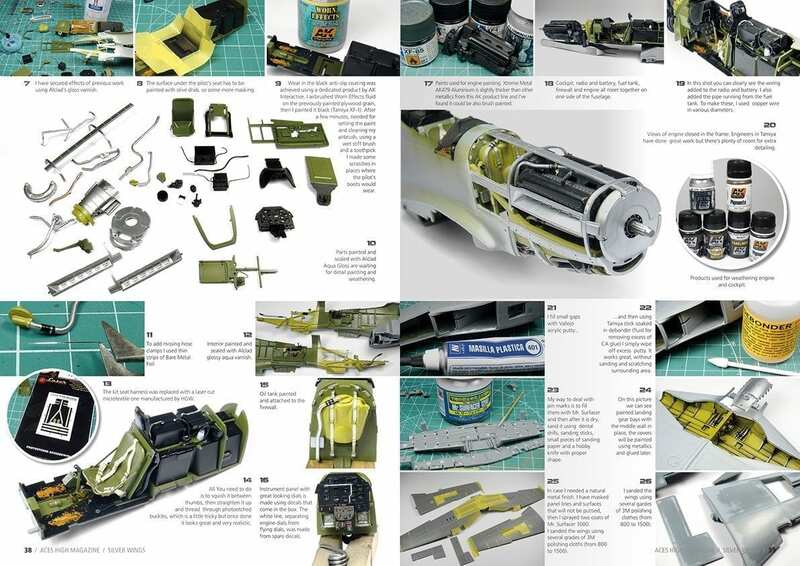 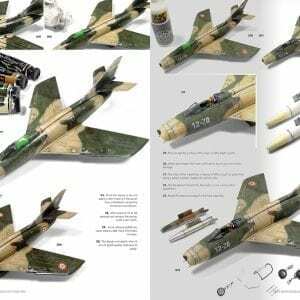 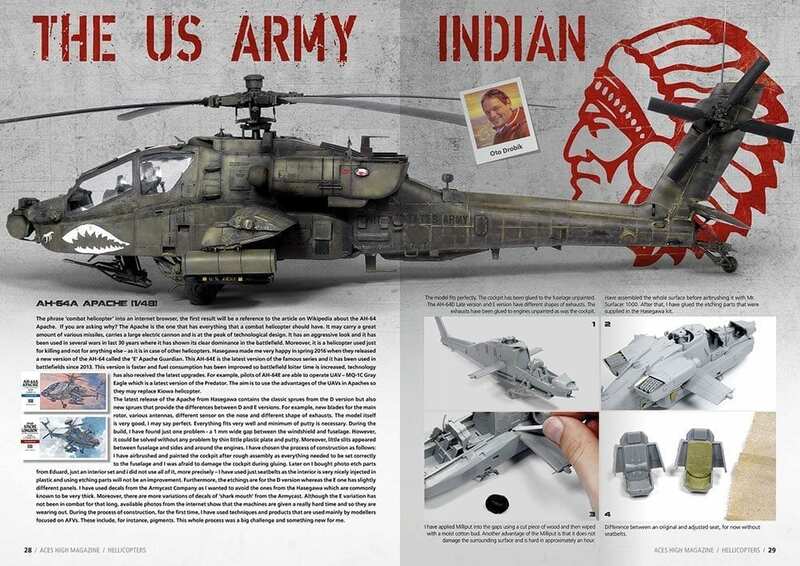 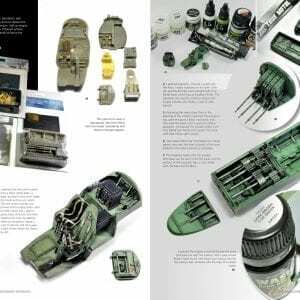 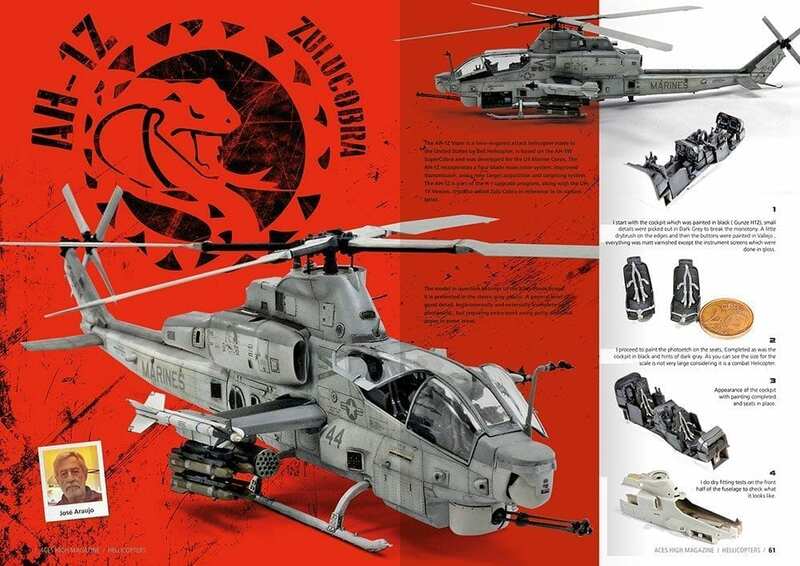 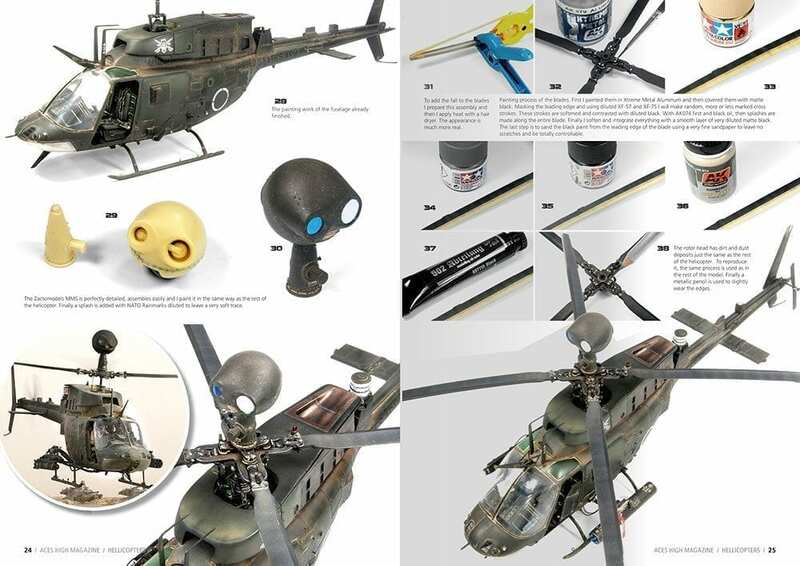 Using the large 1/35 scale kit as the example, our editor Daniel Zamarbide guides you through the processes of construction, detailing, painting and weathering of a model of this legendary helicopter. 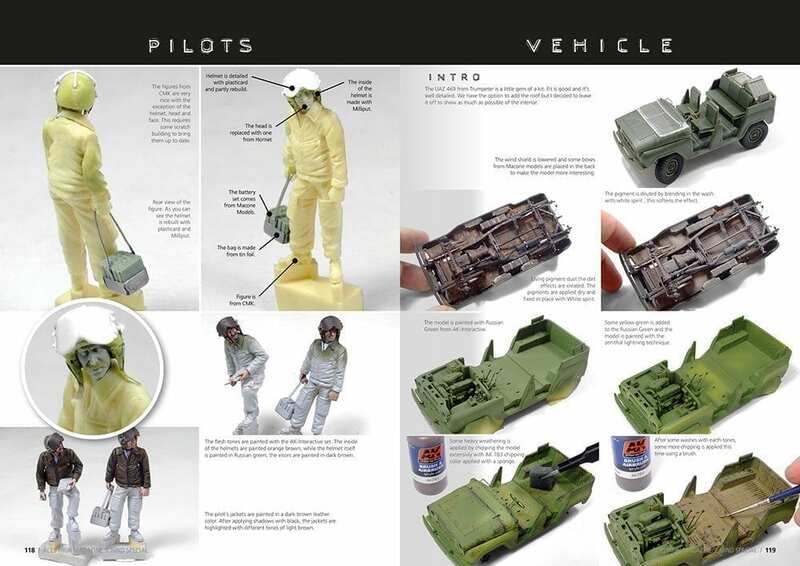 The finished model is presented on a vignette containing a vehicle and figures, which creation is also thoroughly described.